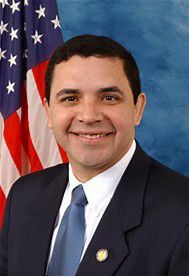 U.S. Rep. Henry Cuellar has requested a Congressional hearing investigating possible Russian meddling in the upcoming Mexican presidential election. Cuellar, D-Laredo, said he requested the hearing based on intelligence he’s received. The Mexican general election is set for July 2018. Two-time presidential runner-up and former Mexico City Mayor Andres Manuel Lopez Obrador has led early polls. Despite running a moderate government as mayor of Mexico’s capital, rivals describe Obrador, 64, as a dangerous radical, similar to the type of socialist governing that has ripped apart Venezuela. Obrador’s top opponent will likely be Jose Antonio Meade, the former Mexican finance minister who resigned from his post last week to run for president. Meade, 48, also served as foreign minister under current President Enrique Peña Nieto. Under previous President Felipe Calderon, Meade was energy minister. Peña Nieto is not eligible by law to run for re-election.